A build-up of moss, leaves and other debris can cause serious problems for your gutters, downpipes and brickwork. 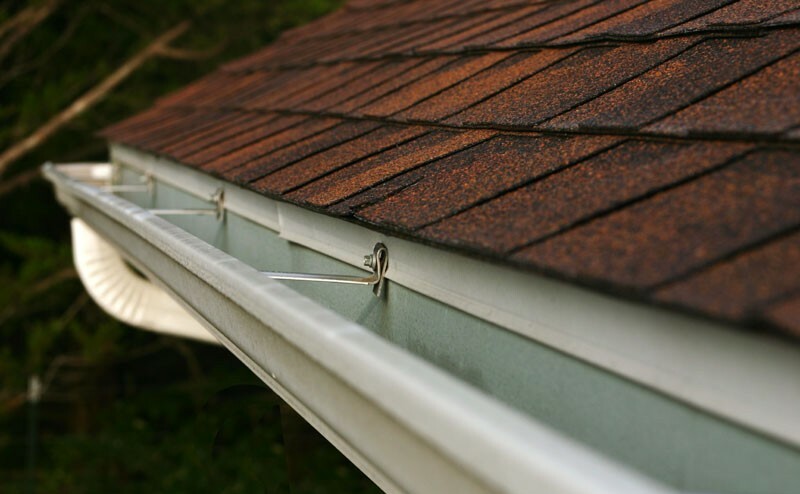 Most people put off gutter clearing as they assume it will be expensive, but a regular gutter clear can save you a lot of money in the long run. We recommend getting your gutters cleared at least once a year; twice a year if your home is close to trees, due to the heavier fall of leaves and twigs. Our team are experienced in safely clearing the gutters of homes of all shapes and sizes. Removes all leaves, moss and debris from the interior of your gutters – enables water to flow freely. Reduces damage to gutters – heavy blockages can cause pipes to buckle and pull away from the wall. Reduces damage to brick work – caused by overflowing water. Helps to prevent the damage to fascia boards and cladding (uPVC) – caused by overflowing water. Maintains the external appearance of your home – no unslightly twigs and property damage. Our team are fully insured and highly trained to provide the safest and most cost effective gutter clear for your home. If your pipes are clear but you have noticed the exterior of your gutter pipework needs cleaning we also offer a gutter cleaning service as part of our fascia and soffit cleaning services, find out more here. To find out more or for your free residential gutter clearing quote please contact us or visit our FAQ page for further details.